Along with knitting, I feel like watercoloring has to be pretty high up on the list of thing I imagine spinsters of old doing. So, of course I have taken it upon myself to learn. At FIT I took a class where we learned how to paint with watercolors, but I wasn't very good. 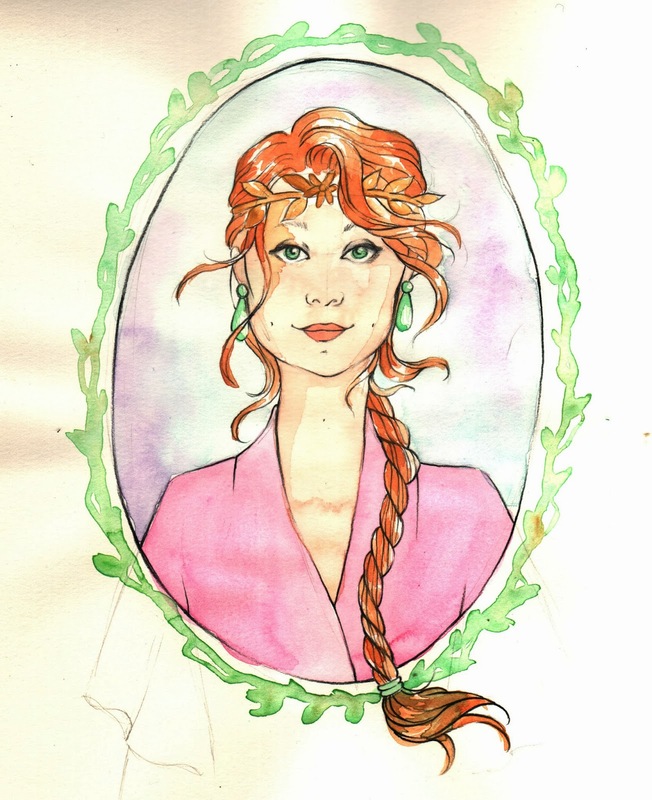 Today's illustration, though, is a little bit of a hybrid of what i usually do, mixed with a little watercolor. I think there's definitely room for continued experimentation, but the good thing about being a spinster is that I have plenty of time to do that! I'm watching the last episode of Breaking Bad tonight, so I expect tomorrow's post with be full of lamentations about how I wish there were more episodes. Why can I not just live in Downton Abbey world and somehow also watch Breaking Bad all day? Is that so much to ask? Also: Get excited. Tomorrow is Friday.